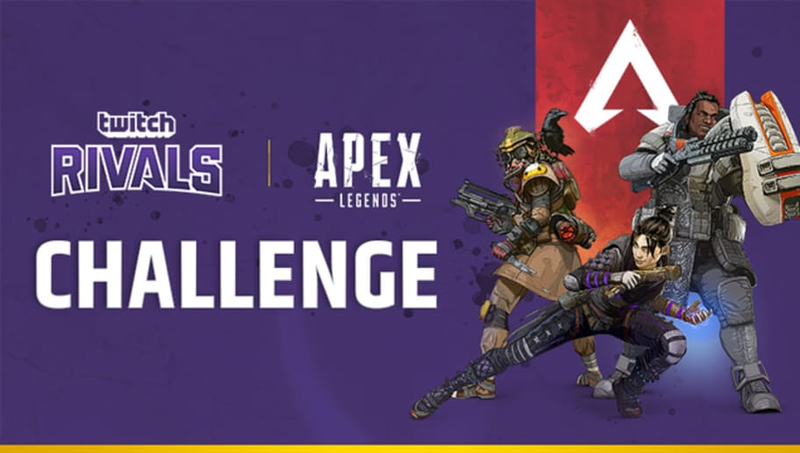 Apex Legends Twitch Rivals tournament is a new tournament from Respawn Entertainment and Twitch. Here is everything you need to know about the event. The new Twitch Rivals tournament that will feature a few major names from Twitch. The full list of streamers competing in the tournament wasn't revealed yet, but Twitch did announce a few streamers who will be competing. There is a $200,000 prize pool for the event that will be split into two $100,000 prize pools for North America and Europe. The $100,000 prize pool will be split in half for two competitions in each region, meaning there will be four competitions in total -- two for NA and two for EU. "In each region, all teams will compete within a designated four hour time frame to determine who can earn the most points. Teams will be allowed unlimited attempts within the four-hour time frame," the post read. Wins will reward a team with five points, while each kill grants a team one point. Each region's tournament will feature 24 players in eight teams of three-player squads. The event will begin Tuesday, Feb. 12, with EU's half beginning at 1 p.m. ET and NA's half starting at 4 p.m. ET. The competition will continue on Feb. 19, a week later, at the same time.